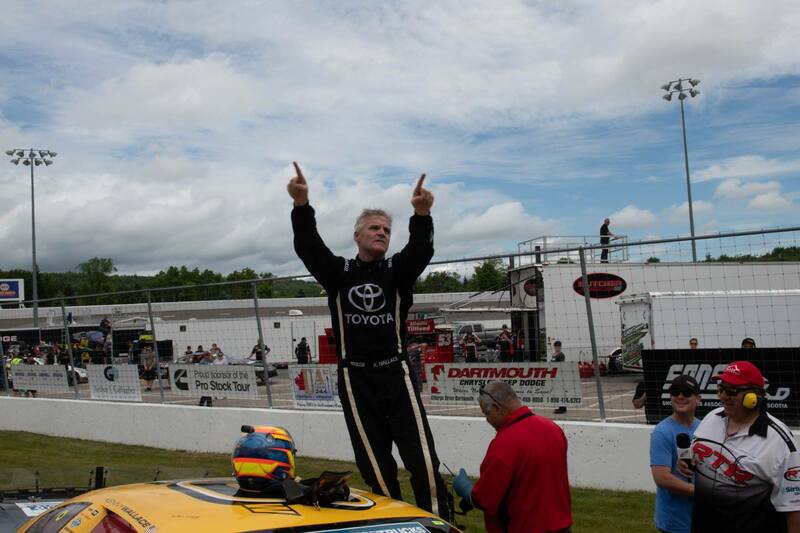 On July 15, Kenny Wallace ventured to Canada to run a late model race. The race took place at Riverside International Speedway in Antigonish, Nova Scotia. Kenny Wallace finished 3rd in that event. However, following a post race inspection the 1st and 2nd place finishers were disqualified. Kenny Wallace was declared the winner. There was a brief delay in declaring the official winner of the event. Two days later, the sanction finally announced the results of the post race inspection. The winner and runner-up were disqualified. Kenny Wallace flew from Canada to Eldora. He was set to work on the broadcast team the following day at the NASCAR dirt race. Cassius Clark was the initial race winner of the race. Following the DQ, he was relegated to a 28th place finish. “Unfortunately our win was stripped due to post race technical inspection. I feel bad for Andrew, Rollie, our entire team as well as the race fans who or listened to the race. It was a great event with tons of fans at an awesome track,” Cassius Clark stated.